It is always our goal to bring added value to our customers and our employees. 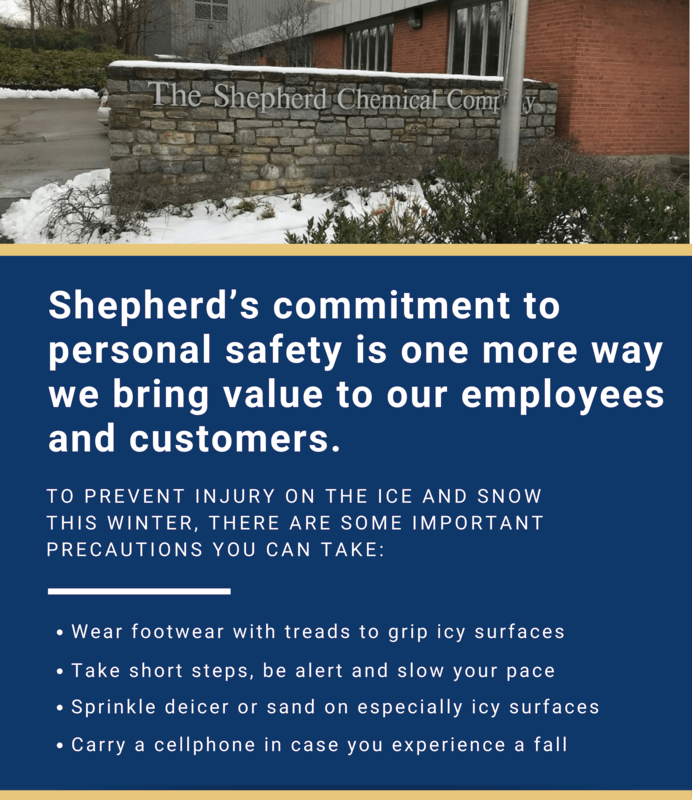 That is why personal safety is, and always will be, a priority to our team at Shepherd Chemical. And with winter in full swing, everyday dangers become more prevalent. Did you know, according to the Centers for Disease Control and Prevention, an estimated 1 million Americans are injured, and 17,000 people die, as a result of slip and fall injuries every year? Winter can be beautiful, with snow-covered sidewalks and treetops, but it can be equally as dangerous. All it takes is one little accident to ruin the entire season for yourself and for your loved ones who will have to take care of you. Don’t let the winter get you down, take important steps to prevent injury. Avoiding injury is possible with just a little extra patience and caution. Our entire staff engages in ongoing education by certified trainers to help avoid injury in the workplace and outside of the job. We reinforce the behavior-based teachings in SafeStart® to help our employees’ holistic health and productivity. It is our hope that these techniques will translate to a healthier workforce, while also helping our employees’ families do the same. The best way to protect yourself during winter is to engage in smart practices. The state of mind you are in can lead to, or contribute to, critical errors that can ultimately increase the likelihood of injury. Always avoid distractions and focus on the task at hand. Refer to the graphic above to help you stay safe this winter. 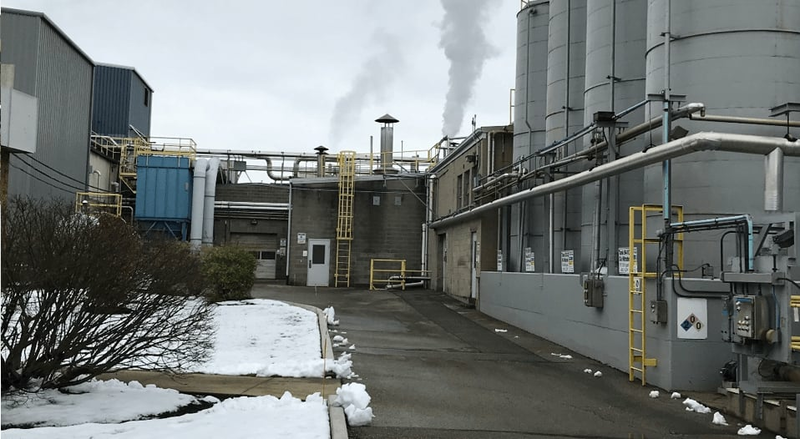 Learn more about how Shepherd Chemical uses the SafeStart® method.